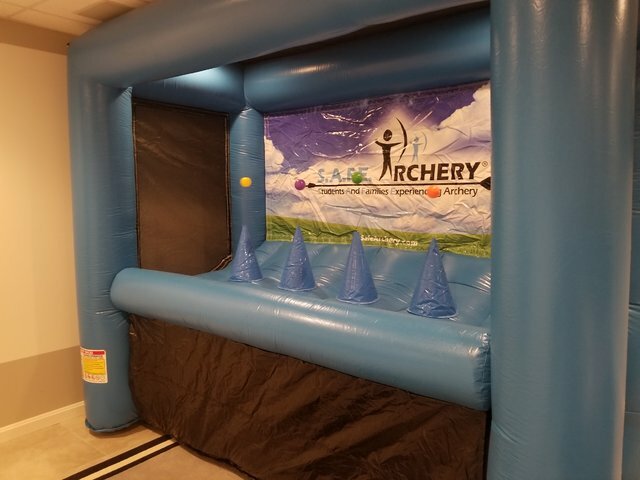 This is a super fun archery game that can be played by children and adults. The foam tip arrows make it very safe for all ages using a real bow and safe archery arrows shooting at plastic balls that hover in mid air with a back drop to stop the arrows. You can have a contest between competitors or just teach people safe paractice in archery. It's just plain fun.